Thomas, Hugh. The Slave Trade: The Story of the Atlantic Slave Trade: 1440-1870. 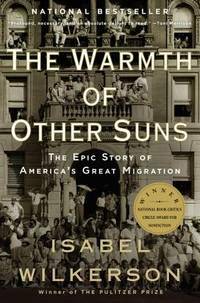 From The Warmth Of Other Suns to Worse Than Slavery Parchman Farm and The Ordeal Of Jim Crow Justice, from	The Promised Land to Race and Radicalism, we can help you find the african american history books you are looking for. As the world's largest independent marketplace for new, used and rare books, you always get the best in service and value when you buy from Biblio.com, and all of your purchases are backed by our return guarantee. Includes bibliographical references (p. -822) and index. The Promised Land (Ziemia Obiecana) is a 1975 Polish film directed by Andrzej Wajda, based on a novel by Władysław Reymont. Set in the industrial city of Łódź, The Promised Land tells the story of a Pole, a German, and a Jew struggling to build a factory in the raw world of 19th century capitalism. Wajda presents a shocking image of the city, with its dirty and dangerous factories and ostentatiously opulent residences devoid of taste and culture.